You probably won't even notice, but we've made a couple of changes here. 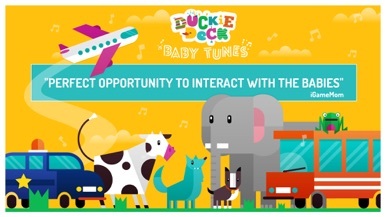 "Playful way for children to learn about sounds and music"
Baby Tunes is the first of our apps that’s designed for toddlers as young as 12 months, who are getting to know different sounds in their environment. The world is full of sounds ranging from quiet hums to wailing sirens, and making sense of them is on the agenda for any curious youngster. In fact, a toddler’s ears are more sensitive than adult ears, and capable of hearing higher frequencies. What’s that coming around the corner? Is it a bus, or is it the coveted ice cream truck? What does it sound like when an airplane takes off? Becoming familiar with different elements of their environment boosts a child’s confidence in new situations. 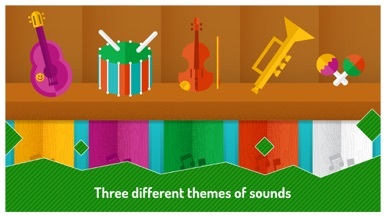 In this edition of Baby Tunes, your toddler can summon various vehicles and listen to their corresponding sound effects. They will get to know the sounds of different animals, from a little frog up to a giant elephant, and learn what do various instruments sound like. 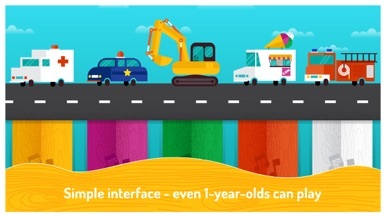 The interface is simple, so that a child as young as 12 months can play independently or with your help. 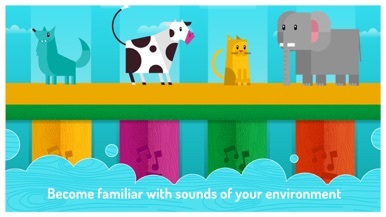 Colorful and dynamic graphics are sure to capture your toddler’s attention, and the sounds are presented in a gentle manner that will let them become familiar comfortably. Our goal is for kids to have fun while learning and developing their motor skills and hand-eye coordination. Most importantly, this app is designed to be completely safe and to protect kids, therefore it has no additional payments or advertising. At Duckie Deck we create smiles. Our biggest goal is to support healthy and well-rounded development in the youngest technology users, while also creating opportunities for learning and play to extend beyond the virtual world. Toddlers and preschoolers across the world are playing our educational games and growing happier by the minute. We cover some of the most essential points needed to form wholesome personal and social habits – like brushing your teeth, sharing with others and caring for the environment. Come smile with us! 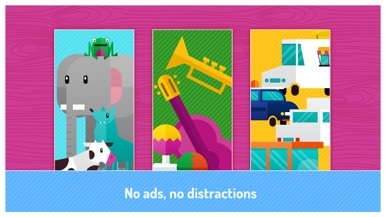 As a Moms with Apps member, we follow the "Know what's inside" best practices for kids’ apps. Die Fleetboard Bus App – Für den Überblick von unterwegs! •The Global GIST Explorer is an interactive educational program that simulates the investigation of gastrointestinal stromal tumours (GISTs) in the gastrointestinal (GI) tract. •This is an international app and is intended for Health Care Professionals outside the U.S.